You are here: Home / Tips and Tricks / Does Night Shift Have Any Effect On Battery Life? Does Night Shift Have Any Effect On Battery Life? We get this question very often: Does night shift mode improve battery life? Or does it cause battery drain? By battery life, I mean that it is the length of time your iPad or iPhone can continue to run before it needs to be recharged. I was wondering this question as well. Because Apple recommends that adjusting your screen brightness will preserve battery life. Apple also recommends turning on Auto-Brightnes (Settings > Display & Brightness) if you do not see the Auto-brighness option that means that your iOS device does not have an light sensor. Not all iOS devices have this feature. This is because it can be argued that your iPhone or iPad screen’s brightness can take a toll on battery power. It is known that he biggest power drain on most mobile devices is the screen. Thus, you may think that this new feature, night shift, may help. Night shift is a display mode. 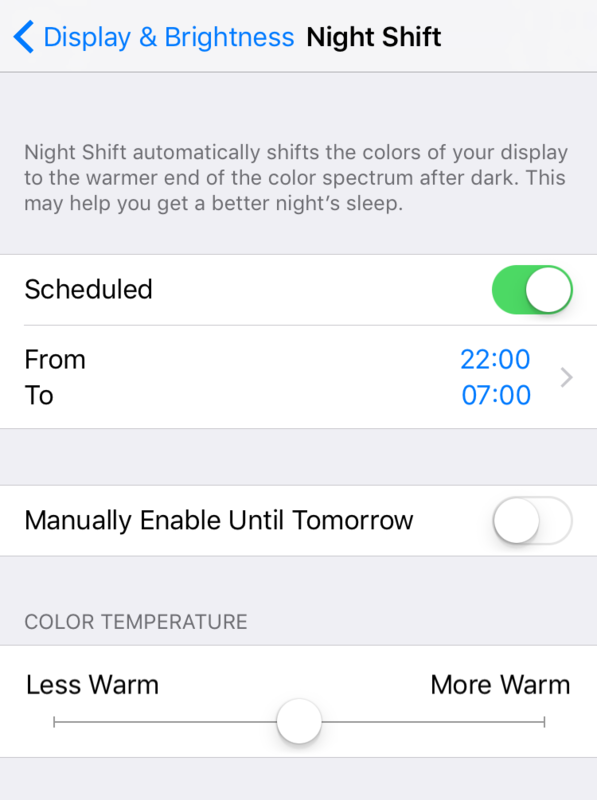 When enabled, night shift will change the colors of the device’s display to a more yellowish / warmer hue. Your device will determine when to adjust the color of your screen based on the device’s clock and geographic location. We actually asked this question to Apple. Based on the answer we received, the short answer is YES. Enabling night shift dims the brightness so it actually saves battery life. However, we can’t say how much exactly you would save as that depends on many factors example how long you actually use it through out the day and night. Thus you may want to turn night shift on. 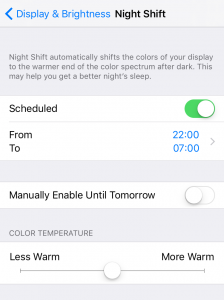 There are three ways to enable night shift: (1) swipe up from the bottom edge of your iOS device’s screen to open Control Panel, then enable or disable night shift (2) Settings > Display & Brightness > Night Shift (3) turn on Siri (press and hold the home button or use Hey Siri) and just say Turn on Night Shift Mode. There are a few options. For instance, you can set a schedule or you can adjust the exact color of the display. Night shift is supposed to improve health by making it easier for you to fall asleep. Also note that there are many things you can do to extend your iPad’s or iPhone’s battery life.